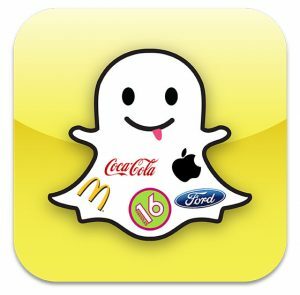 As Snapchat continues to grow and evolve, so does its user base of brands that are engaging with fans through the app. Snapchat has gone from being a simple photo and video sharing app to a marketing tool that can’t be ignored. The app has come a long way since its launch in 2011; self-destructing photos and video are no longer just for smartphone-savvy teens – they’re for marketers who want a creative way to reach their target audience. However, utilizing this app to connect with a buyer persona can be tricky. It’s worth noting that Snapchat puts a limit on how long its videos and photos are available for on the app. For instance, a video or photo will disappear as soon as a few seconds go by, never to be seen again by the recipient. This means that marketers need to make the most of every second they get on the app, which requires a certain amount of strategy. Even if your target audience is a group of executives, it’s important to grasp the environment of Snapchat. Since the beginning, Snapchat has been an app that encourages casual communication through the use of videos and photos. People take pictures of their meals, vacations, and daily activities to share with friends – they aren’t typically documenting professional behavior. That being said, it’s critical to observe the overall casualness of the app. When your marketing team is creating a strategy for Snapchat, you need to settle on a tone of voice that will be used across the board. Ideally, the language you use should be easy-to-understand, and your posts should have a sense of fun. For instance, think about incorporating the drawing function on Snapchat that allows you to add edits to your photos. Doing so will make your team seem more personable and approachable – all added bonuses when attempting to connect with your audience. While some may perceive the self-destructive nature of Snapchat to be a hurdle, marketers can do wonders with this aspect of the app. More specifically, this can give you an ideal opportunity to offer teasers to your followers on Snapchat. Because videos and photos only exist for a few seconds, you can use Snapchat to give people a preview of an upcoming product or service that your company may be offering. You can also use Snapchat to create contests. For instance, you can ask other users to send you pictures of them using your product and offer a reward to those who do. The trick to getting the most leverage out of Snapchat is ensuring that you are always looking for ways to engage with your customers. Doing so can keep people coming back for more, giving you additional opportunities to roll out your marketing strategy. Snapchat is not just all about self-destructing photos – videos are a key component of the website as well. Although they also disappear once they have been viewed, marketers can use them to reach out to people who are interested in getting a sneak peek of their office culture, product production, and everything in between. Marketing teams can use video to provide more valuable content to their followers. Although they say a picture is worth a thousand words, you can actually verbalize the message you’re trying to convey to your audience through a video. More importantly, you don’t need to be a professional to make a splash. Remember: Snapchat is all about being casual and relatable. As it goes with any type of social media, Snapchat gives you a chance to portray the true intentions and mission of your company, whether it involves providing a service or a valuable product. Ideally, the media that you share over the app should give people a better idea of your business and what you have to offer. You should always be working to inject personality into your photos and videos to help people connect to your brand on a “human-like” level. Use Snapchat to show off more than just content, but what happens behind the scenes. Ask different people at your company to contribute to your Snapchat efforts to add some flavor. Over time, you’ll notice a difference in how quickly your following grows. If you’re still unsure of whether there’s any value to using Snapchat for marketing purposes, consider some statistics. There are approximately 26 million users in the U.S., and about 400 million snaps are sent out each day. For more info on how CMG Media can improve your company’s marketing efforts, please visit www.cmgmediaagency.com and contact our group of professionals.